Jumpstart 2014 - Let's Play! EVENT - JUMPSTART 2014 - Let's Play! At JUMPSTART 2014, we look at ways in which we - as writers, illustrators, artists, storytellers, filmmakers, gamers, coders, animators, designers, publishers, technology experts and adults in general, create games in diverse forms that enrich the lives of children. 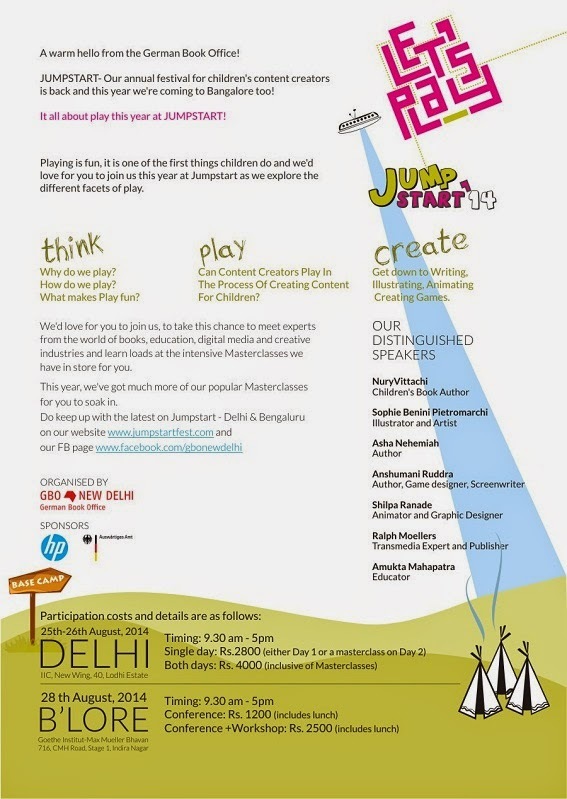 We will explore the different facets of play and its intersections with books, media and learning. Words and illustrations play on a page to create stories and experiences for the young reader.